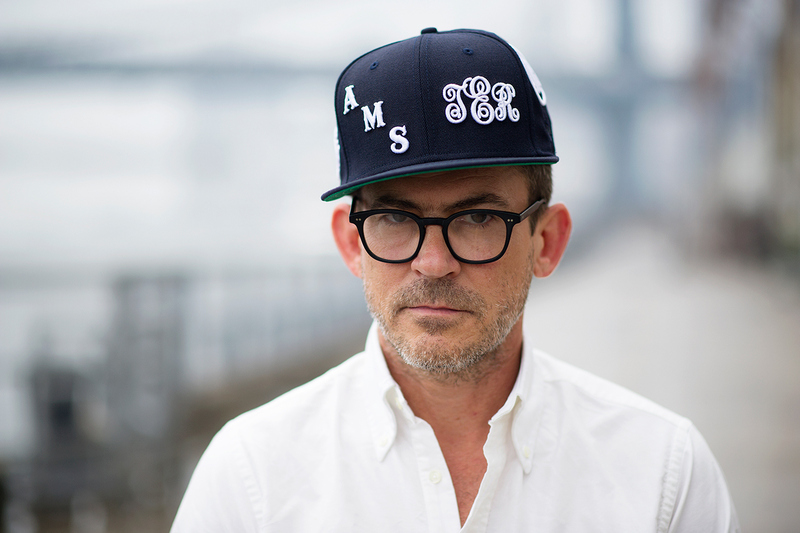 Mark McNairy | The Collaboration King | A Continuous Lean. Mark McNairy doesn’t say much. The man who revived the red brick sole is now almost as renowned for his blunt single sentence interview answers in caps lock as for his pattern-heavy collections. Reading a McNairy profile one would assume that he operates as a lone wolf, the sort of designer who prefers to remain in his own head free from any outside influences, but this is hardly the case. For McNairy, his main New Amsterdam label encompasses just one (albeit large) slice of his portfolio, the rest of which is comprised of collaborations, large and small, predictable and obscure, that have became paramount to his standing as one of America’s best known designers. Over the past few years McNairy has worked with everyone from rappers to a brewery to a Japanese street wear store to a legendary American label. While it would be tough to catalog every single collaboration McNairy has been a part of since stepping out on his own, we’ve done our best to compile a year’s worth of McNasty partnerships, although we can’t guarantee he won’t drop anymore by the time you read this. Eastland – This one’s somewhat of a softball for McNairy, who built his current empire on vibrant soles. But instead of the Anglo dress shoes of his mainline, McNairy’s Eastland collection consists of electrified Maine-made mocc classics with no shortage of duck camo and pastels. Bee Line x Timberland – For better or for worse, the red shoe is here to stay (thank Kanye for that one) and so as part of their Bee Line brand, McNairy and Pharrell Williams will be releasing these crimson Tim’s later this month. BBC Black – BBC Black’s murdered out, American made, mil-spec inspired pieces are exactly what you would expect from a collaboration between McNairy and one of the world’s biggest rappers, but the label’s black and white wares (which are complemented by McNairy and Pharrell’s other line, the more colorful Bee Line) are still just downright cool. Woolrich Woolen Mills – The American sportswear obsessive returned to one of our most legendary labels this year to carry on the Woolrich Woolen Mills legacy. Garrett Leight – That says it all. In partnership with Leight, McNairy was able to bring the brand’s California-inspired shades back to this country. North Face Purple Label – McNairy clearly believes that no man should ever have to choose between having florals or camo, so he offers us both with his daisy camo capsule collection for NFPL. Now, if only these were available in America. Odin – Now, I’m not exactly sold on the “jogger pant suit,” but McNairy’s New York made suit for Odin seems to have sold out, so who am I to judge? Etiquette – No the socks aren’t flashy, but you gotta admit, for McNairy they do make sense. Heather Grey Wall – Aside from providing a platform for McNairy to riff on another New York based label’s ubiquitous box logo, his Heather Grey Wall pieces represent McNairy at his madcap best. 417 by Edifice – Not many details exist about this collaboration between McNairy and this Japanese based company, but it’s supposedly inspired by “sidewalk surfers” so be on the look out for that. Heineken x Union LA – For the collaborator that has everything: a beer shoe. Cam’ron – We’re still not entirely sure how real this is, but McNairy did at least make a few capes for Cam’ron earlier this year. Whether or not they hit a shop near you is to be seen. Maybe it’s for the best though, we can’t all be Killa Cam. He didn’t “revive” red brick soles. Looks like a bunch of Urban hip hop junk to me. I really like this energetic, colorful rift on classics, injected with hip-hop militaristic pattern and color. It’s also good to see that the 25+ y.o. Mr. McNairy can carry off that cap. You best be drinking at home when wearing those hideous ‘Heinekin’ baby shoes. A nice, large Sea Island cotton diaper would complete the package smartly.